Dr. Selden Smith, of blessed memory, was a member of the Council since its creation in 1989. He served as its Chair for many years and is credited as being the “father” of Holocaust education in South Carolina. He became interested in Holocaust education when he was approached to teach a course at Columbia College. 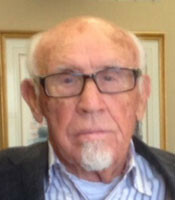 His subsequent research and connections with survivors and liberators in South Carolina made him a committed advocate of training educators to study about and recognize the early warning signs of genocide. Dr. Smith felt very strongly, as espoused by historian Peter Hayes, that teachers must make genocide prevention a global priority. Dr. Smith organized and team-taught a graduate credit workshop on Teaching the Holocaust to hundreds of educators throughout the state for two decades. He was also instrumental in creating the Selden K. Smith Foundation for Holocaust Education, named in his honor, to expand the Council’s projects. Dr. Smith passed away on February 12, 2018 at the age of 88. He is deeply missed. You can read more about Dr. Smith’s many contributions to Holocaust education here. Dr. Lilly S Filler, an obstetrician/gynecologist, is a daughter of Holocaust Survivors Jadzia and Ben Stern. Born in Munich, Germany following WWII, she emigrated with her parents to the US in 1949. In 2000, Dr. Filler chaired the “Holocaust Memorial” project to have the Memorial designed, erected, and dedicated in Memorial Park in Columbia, SC. Following this project she formed the Columbia Holocaust Education Commission and continues to be co-chair. Through this commission, the “Holocaust Remembered” exhibit and supplement were developed and continue to provide continuous accurate information to the midlands community. She is a speaker about the Holocaust, throughout the year. She was appointed to the SC Council of the Holocaust in 2005 and is presently serving as Secretary. Dr. Filler resides in Columbia with her husband Bruce and is the mother of 3 children and grandmother of 5. Dr. Carl Evans (PhD, University of Chicago) has served on the Council since 1995. He is now retired from the Religious Studies department at the University of South Carolina where he taught 35 years. During his entire professional career, Dr. Evans has worked to promote understanding and cooperation among the religions in our state and region. His interest in Holocaust education began in the mid-1970s when he became involved in Jewish-Christian dialogue and helped establish the Christian-Jewish Congress of South Carolina. Learning the lessons of the Holocaust was a frequent topic of conversation in living room dialogue groups of C-JCSC. participation of eleven different religions as it seeks to reflect the religious diversity of our state. 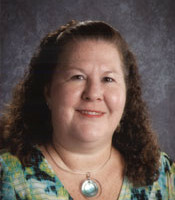 Emily Taylor has taught at Swansea High School for over 27 years, 9 years as a Media Specialist and over 17 years as an English instructor. She became passionate about the teaching of the Holocaust in 1996 through the Holocaust and Jewish Resistance Teachers' Institute in New York City. Since this time, Ms. Taylor has participated in numerous courses and institutes on the Holocaust, including Teaching about the Holocaust through the South Carolina Council with Dr. Selden Smith. She has worked with the Council’s Teacher Advisory Committee since its creation in 1997 and is currently its Chair. Margaret Walden has been a part of the South Carolina Council on the Holocaust since its inception in 1989. She has served in many roles as an officer of the board, including as Chair; she now serves as its treasurer. Ms. Walden has been an educator for 45 years. She has held positions as a social studies teacher, an assistant principal, SC State Social Studies Consultant, school district administrator, and SCDE Education Associate. She has also served on the board of the Association of Holocaust Organizations (AHO), an international association for organizations teaching about the Holocaust, and on the board of the Selden K. Smith Foundation. Previously Ms. Walden served as Secretary and Treasurer of the Council of State Social Studies Specialists and Chair of the Richland Two Charter High School Board of Directors. Leah Chase has served on the Council since its beginning in 1989, and she oversees the Council’s biannual educational trip to Eastern Europe. She is a freelance journalist who has travelled extensively in Israel and countries along the Mediterranean. 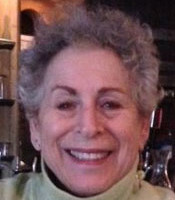 Her writing frequently appears on the Post and Courier’s commentary page, and she has been published by the Jewish Telegraphic Agency wire service, Hadassah Magazine, and Jewish newspapers in Atlanta, Baltimore, Cleveland, Phoenix, and New York. She was named a “Woman Who Makes a Difference” by the Charleston chapter of Hadassah, was a founding member of the Charleston Foreign Affairs Forum, was named a High Profile Community Personality by the Post and Courier, and voted one of the city’s ten “Best Mannered Charlestonians.” She served as president of the Charleston Cancer Association, BSBI Sisterhood, the South Windermere Garden Club, and the Charleston Hebrew Institute PTA. She was the Assistant Director of the Charleston Jewish Federation, and she has also chaired its Jewish Community Relations Committee. For many years, she edited the award-winning newspaper, The Charleston Jewish Journal. 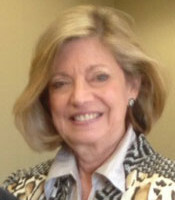 Eileen Chepenik, from Charleston, has served on the Council since 2001. She interviewed numerous Holocaust survivors and liberators for Steven Spielberg's Visual History of the Shoah Foundation. She serves on the REMEMBER Committee of Charleston Jewish Federation and produces a Holocaust education supplement annually for the Post and Courier. She is an active volunteer in both the Jewish and non-Jewish communities and has served in a variety of leadership capacities. She is Immediate Past Chair of the Council and served as secretary for many years prior to becoming Chair. She has served as President of the Charleston Chapter of Hadassah, Chair and Director of the Jewish Community Relations Council, President of Hebrew Orphan Society and President of the Rotary Club of North Charleston. She is President-Elect of Charleston Jewish Federation Professionally, she is the Executive Director of Trident Literacy Association, an award-winning nonprofit adult education program for people who do not have high school credentials, and non-native speakers of English. Denise Deveaux has been a teacher for 32 years of which the last 25 years have been at Northwood Academy in Summerville, SC. She teaches Advanced Placement and College Preparatory World History and World Studies and is the Humanities Department Head. She has been involved in Holocaust Education since 2001. Denise credits her inspiration for working to further Holocaust Education to Joe Engel, a Holocaust survivor and Charleston, SC resident. She also serves on the Charleston Jewish Federation Remember Committee for Holocaust and Genocide Education. Ms. Deveaux will become a United States Holocaust Memorial Museum Teacher Fellow in July and a is a Jewish Foundation for the Righteous Alfred Lerner Fellow. She was an Educator Delegate for the Partnership 2gether Hadera Israel Consortium. She is a member of the National Council for the Social Studies and the South Carolina Council on the Social Studies. She is the Charleston Southern University Alumni Association Executive Board Treasurer. Denise resides in Goose Creek, SC and has been married for 36 years. She has three sons, two grandchildren, and six furbabies. 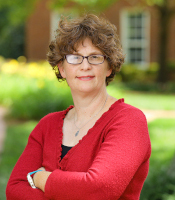 Dr. Melinda J. Menzer is a professor of English at Furman University in Greenville. Dr. Menzer earned a B.A. from Williams College and an M.A. and Ph.D. from The University of Texas at Austin. In 2003, she traveled to Lithuania, where she visited the places where her grandfather's family had lived and where they were murdered during the Holocaust. Dr. Menzer has spoken to audiences across the Upstate about her family's Holocaust experience. She is a congregant at the Temple of Israel in Greenville, where she chairs the social action committee and teaches Hebrew. Jennifer Myers has been a teacher in South Carolina public schools since 2010. 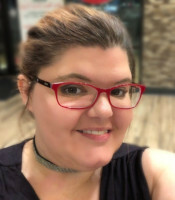 She holds a Bachelor of Arts degree in Interdisciplinary Studies from Coastal Carolina University and a Master’s degree in Teaching with a concentration in Secondary Education (English). Jenn is an Alfred Lerner Fellow through the Jewish Foundation for the Righteous. Jenn is passionate about Holocaust education and about cultivating in students a desire to be upstanders in their communities. Dr. Jesse L. Scott is a Professor of History at Newberry College. Dr Scott earned a B.A. and a M.A. degree in History from Clemson University, and a Ph.D. from The University of South Carolina in Modern European Studies. 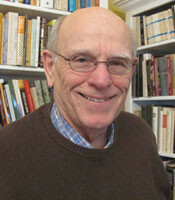 In addition to teaching an advanced level course about Nazi Germany and the Holocaust, as well as a course on Genocide, Dr. Scott has been involved in Holocaust studies throughout his career through summer institutes about the Holocaust at Northwestern University and Columbia College, and by attending various Holocaust conferences around the country. 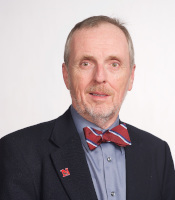 For his service, teaching, scholarship, and dedication to his students, Dr. Scott received a number of awards recognizing his commitment to education over the years, including the 2008 SC Independent Colleges and Universities Excellence in Teaching Award. 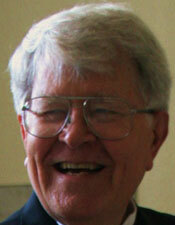 Dr. Donald S. Sloan is an award-winning composer and Professor of Music at Coastal Carolina University. Previously, he was on the faculties of Ashland University (OH) and Binghamton University. He has served in several different administrative capacities in addition to his teaching duties and remains active as a musician. 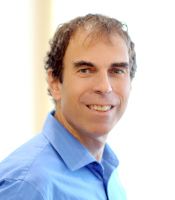 Dr. Sloan has been involved in Jewish communities wherever he has lived, as a board member, teacher and co-director of the choir at Beth El in Akron, OH and currently serving as President of Temple Emanu-El in Myrtle Beach, SC. He has also studied cantorial singing, is the Ba’al Tekiyah (shofar blower) at his synagogue and often incorporates Jewish themes into his compositions. Dr. Sloan’s father Curtis Sloan (né Kurt Salomon) was born in Westphalia, Germany, and had a unique history with the Nazi Era and the Holocaust. He was sent out of Germany as a teenager in 1936 and was joined by his sister and parents several years later. He helped in getting other family members out of Germany before the US got involved in WWII. He then went back to serve as a translator for the US Army, eventually working with displaced persons, including Concentration Camp survivors. He was awarded a Bronze Star for his service. Joe Engel is a survivor of the Auschwitz-Birkenau Death Camp. He was only about 12 years old when the Nazis came to his home town of Zakrocyzm, Poland and shot 150 young men in the town square. At Auschwitz, he was known as 84009, the number tattooed on his arm. Mr. Engel was selected for slave labor instead of the gas chamber by the infamous Dr. Mengele, and he was sent to a bricklaying detachment. Mr. Engel was among the 66,000 prisoners who were sent on the forced “Death Marches” in the bitter cold of January 1945 as the Nazis tried to hide their evil crimes from the approaching Red Army. He escaped and joined the partisans in the forest until he was liberated. Mr. Engel came to Charleston in 1949 and ran a successful dry-cleaning business for many years. He has dedicated his life to sharing his experience with tens of thousands of people, young and old, making sure that the Holocaust is not forgotten. 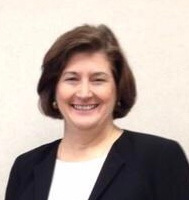 Anne Shealy serves as a SC Department of Education (SCDE) representative on the Council. Within the SCDE, she is the education associate for middle level English language arts in the Office of Standards and Learning. Having taught in numerous districts in SC for over twenty years, Ms. Shealy frequently integrated Holocaust-related texts into her curriculum. Her most recent classroom experience was serving for 12 years at Hand Middle School in Richland School District One in which she implemented the William and Mary Gifted and Talented unit, Change in the 1940s. Through this unit, students explored the Holocaust through an overall study of World War II. 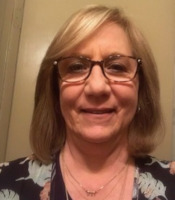 She is honored to be a part of the SC Council on the Holocaust where she hopes to work with classroom teachers to investigate close reading strategies that will enable students to make greater meaning of texts that they read about these atrocities. Lyssa Harvey Ed.S , is a lifetime resident of Columbia, SC. She is the Co-Chair of The Columbia Holocaust Education Commission and was instrumental in creating the Holocaust Remembered Exhibit. Ms. Harvey has served on the board of The Jewish Historical Society of SC and created the Columbia Jewish Cultural Arts program. She has served on the Columbia Federation Board of Directors and The Columbia Jewish Community Center Board for over 25 years. She was awarded the Columbia Jewish Federation’s Distinguished Service Award in 2015. Columbia Historic Foundation recently awarded her The Innovative Leadership Award for her work on the Jewish Heritage Initiative. Ms. Harvey is active in the Columbia Arts Community. Ms. Harvey, is a Licensed Professional Counselor with a private practice in Columbia, SC where she specializes in working with children and families. She is also a SC Signature Watercolor Artist that specializes in Judaic Art and exhibits her paintings throughout the South East. She is married to attorney, Jonathan Harvey. They have 3 children and 4 grandchildren. 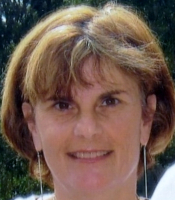 Minda Miller currently serves as chair of The Selden K. Smith Foundation for Holocaust Education. She is also on the Board of the Columbia Holocaust Education Commission. She is married to Dr. Henry Miller, whose parents, Cela and David, were the first Holocaust survivors to make Columbia their home in 1949. Her in-laws’ experiences are what has inspired and motivated Minda to promote Holocaust and tolerance education in our state. Minda is a former special education teacher in Richland One. She is involved in various volunteer activities in the community. Since 2010, she has been the director of Beth Shalom Synagogue's Tuesdays With Friends senior program. 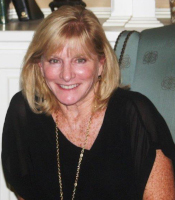 Rebecca Engel is a fourth generation Charlestonian through she grew up in New Jersey and attended Rutgers University. 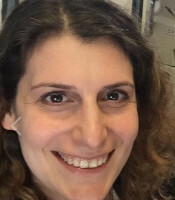 After two years living in Israel, Rebecca spent a decade in New York, earning her Masters in Social Work from Yeshiva University with a focus in Jewish Communal Service and training camp professionals in informal education at the Foundation for Jewish Camp. 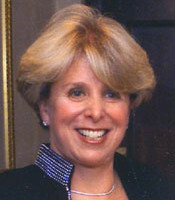 She also served as President of Advancing Jewish Professionals, the NY Chapter of the Jewish Communal Service Association and held a graduate school internship in both the planning and fundraising sides of the UJA-Federation of New York. In 2015, Rebecca returned to Charleston and is currently Director of Strategic Initiatives at Charleston Jewish Federation, where she aims to honor her grandparents’ legacy and love for the local Jewish community every day. Her portfolio includes the REMEMBER Program for Holocaust Education and Genocide Awareness as well as additional roles pertaining to leadership development and community relations. Rebecca and her husband Aaron welcomed their first child, Edith Rose, in February 2018. For over 25 years, Christine has worked in the history field of African American culture. She has been a collector of resources relating to African American history, such as, vintage history books, documents, and newspapers. Her newspaper collection dates from the late 1600s through the Civil Rights era. Christine has been a docent at the Herndon Home Museum and a museum teacher, planning student programs at the Atlanta History Museum in Atlanta, Georgia. While working at the museums, she created the “Museum on Wheels” a traveling history exhibit that was shared with thousands of students in Georgia. She later developed African mask making programs and exhibits at the Atlanta Fulton County Public Libraries. In 2011, she partnered with the National Archives at Atlanta Southeast Region to develop a newspaper exhibit to commemorate the 150 th anniversary of the beginning of the American Civil War. The exhibit was entitled Slavery and Freedom in Black and White: The African American Experience in 19th Century Newspapers. Since moving to Charleston, South Carolina in 2012, she has developed history programs and exhibits in elementary and middle school classes. Christine has also been a history Interpreter with the Charleston Museum and McLeod Plantation. 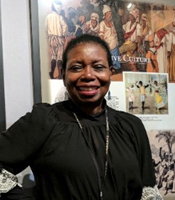 She is currently a member of the Slave Dwelling Project, Inalienable Rights (presents living history programs), a partner with Engaging Creative Minds (a school program organization), and a history interpreter at the Old Slave Mart Museum.